The intention of the artist’s book is multi-layered, for example; a mass-produced expression of uniqueness, a democratically affordable artwork, a widely distributed material object, a participatory group project or an interactive intimate experience. Victoria Browne is the founder of KALEID editions, an impressive initiative to exhibit and distribute a broad selection of European based artists’ books. 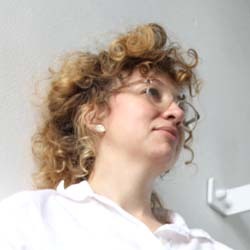 She will discuss the dissemination of knowledge as artist and dealer through her relationships with public collections by presenting five exemplars of artist’s books in the expanded field of making prints; explaining their context within the artist’s practice, their different channels of dissemination and the rebirth of print as artwork in the Digital Age. KALEID is an annual open submission and networking event, attracting artists from across Europe. KALEID editions represents an exclusive collection at The London Art Book Fair, winner of nine Birgit Skïold Awards for Excellence in Artists’ Books and tours internationally to art book fairs and public collections including the V&A Museum’s National Art Library, MoMA Library, Brooklyn Museum Library, MACBA Library and the Pompidou’s Kandinsky Library. Victoria Browne is Associate Professor of Printmaking and Drawing at the Art and Craft Faculty at the Oslo National Academy of the Arts. Her art practice draws on public special collections to appropriate material research, applying traditional and innovative print techniques in the development of site responsive artworks. In 2013 she was nominated by Gill Saunders, Senior Curator of Prints at the V&A Museum and shortlisted for The British Arts Foundation Printmaking Fellowship Award. “I can highly recommend the Gestapo to everyone” expands on Browne’s contribution to Sigmund Freud and the Play on the Burden of Representation, a curated installation by Joseph Kosuth at the Museum of Contemporary Art Vienna 2014.